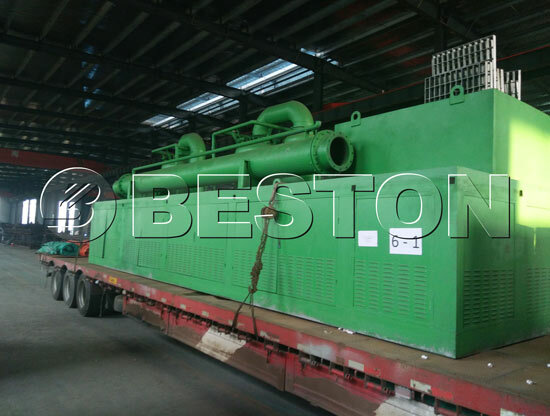 Customers from South Africa has ordered the BLJ-10 pyrolysis plant of Beston and now the whole plant is ready for shipping out. Each part of the plant was carefully packed up by the workers and engineers. A detailed list of every part was also included for the customers to check. 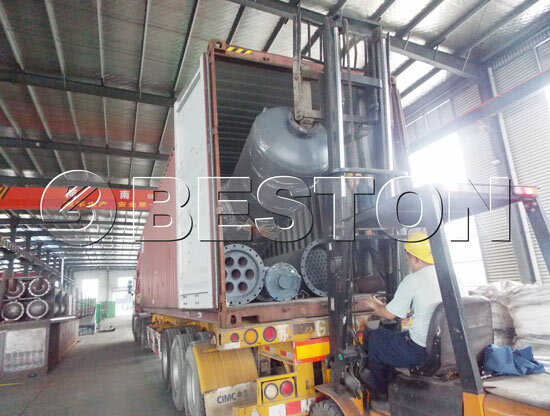 After being packaged, all the parts of the pyrolysis equipment was loaded onto the trucks and then transported to the harbor. 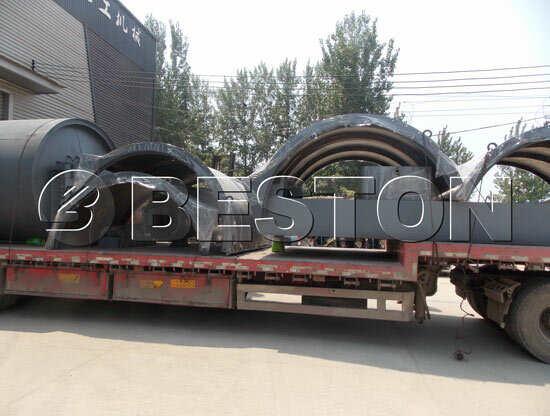 It is not the first time for Beston to ship the pyrolysis plant to South Africa, so the preparation for this delivery went smoothly and fast. 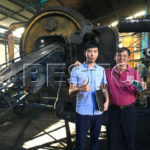 South Africa is one of the key foreign markets of Beston and we have sold our plastic recycling plants to the customers from South Africa several times. All of the customers give us favorable feedback about the plants. We guess that’s also why our recycling machines are so popular in this country now. 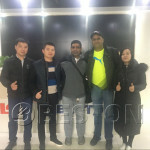 After all the parts of the plant arrive in the customer’s place, Beston’s assembling team and engineers will also arrive to give technical support to the customer. Both sides will fully cooperate and finish the process of assembling and commissioning together. 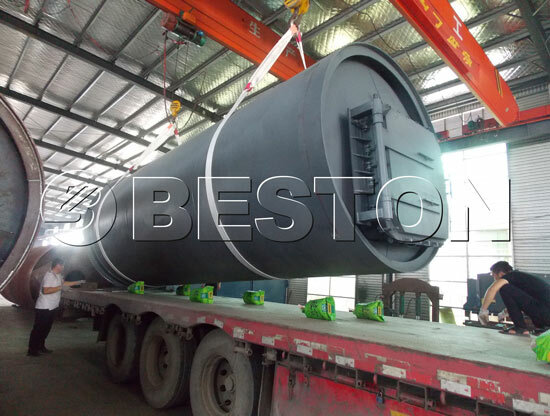 BLJ-10 is a batch-type small-scale pyrolysis plant. 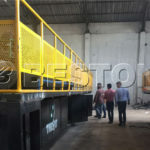 It can process as many as 10 tons of waste plastic or tyres per day. Because of the smaller size, it can save more space for the customer. It is also very easy to operate. 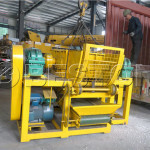 Besides, this kind of machine has drawn more attention from the customers due to the low cost of energy and high return from the raw materials. 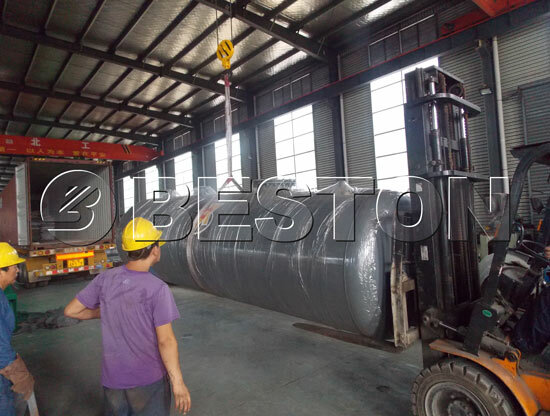 If you are also interested in the BLJ-10 or BLJ-6 pyrolysis plant, you can reach Beston at any time.